For the next several weeks, I will be experimenting with something new, and that is to post one photo per day from one of the most memorable voyages of my life, Antarctica on Seabourn Quest. To be fair, a voyage to Antarctica would rank as one of your most memorable voyages, no matter which cruise line you chose to explore the White Continent. 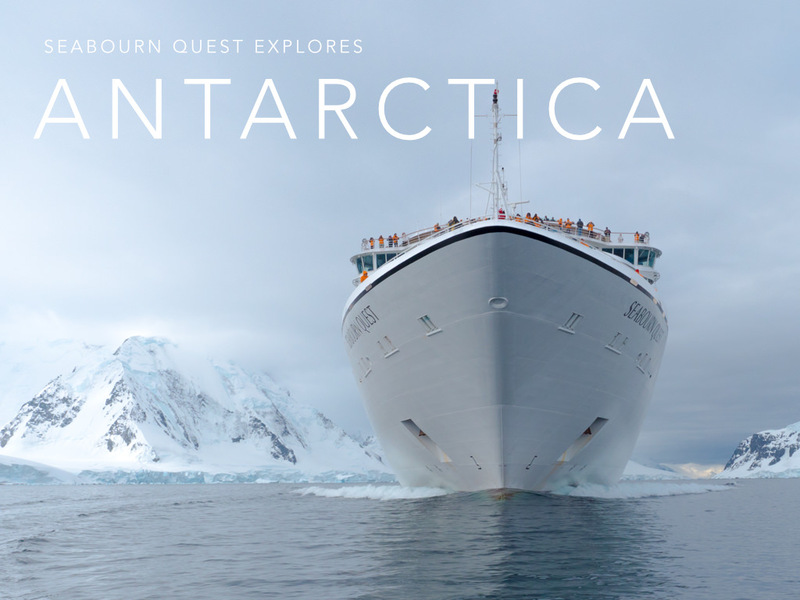 I’ve cruised Antarctica on Silver Explorer, an awe-inspiring voyage that I reported on in December of 2013. You can read more about that voyage on our sister site, Live Voyage Reports. Aaron Saunders, my esteemed colleague, boards Hurtigruten’s Fram this week to cruise Antarctica. You can follow his daily missives on Live Voyage Reports, our “letters from abroad” site that aims to make you feel as if you were traveling along with us. One of my reasons for posting a single photo a day is that Antarctica deserves space and thoughtful reflection. The vast, frozen continent is not a place that you visit and summarize succinctly in a collection of photos on a single page. Rather, I’m inviting you to breathe in Antarctica, and I encourage you to stop what you’re doing and put yourself in the photos. I urge you to permit yourself, no matter how hectic your life, to exist in the moment, with the cold, dry Antarctic air against your face, the crunch of snow beneath the soles of your rubber boots, and the sounds (and smells) of penguins all around you. In writing this, I’m reminded of how happy it makes me to be able to share my Antarctic experience with you, and as always, I am here to answer any questions that you may have. Please ask in the comments box below or by contacting me via email. May I ask which cruise ship to the Antarctic you preferred? Both! Seriously. Seabourn = balconies, multiple restaurants, space. Silversea = small expedition vessel, butlers, etc. Depends on the things you prefer. You won’t go wrong either way. What a fantastic pic of the ship ~ this must have been an incredible trip. Looking forward to the pics and stories.